Every aspect of the process and procedure to complete needed tasks should be documented. Once documented, these processes should be setup in easy to follow guides for each position in the company. This may seem boring and tedious, or a bit too much like the faceless businessman wearing a bowler hat. If you want your company to have any real value, it is necessary. Think of it this way, if the company were to be sold in the future, what would they be buying? They can't buy your brain or the knowledge in it unless it is documented and in a usable format for others to follow. If the company were to be sold in the future, what would they be buying? These procedures MUST be open for review and revision at all times, so that they can be improved upon. This doesn't mean they can be ignored, but there should be a process that allows them to change and improve as new techniques develop. The last dying words of a company are often we have always done it that wayyyyy! The other aspect of systemization has to do with automation of any and all processes within the company to which it can be applied. FedEx or Wal-Mart is the best example of this type of innovation. FedEx isn't successful because they have the most planes or the fastest trucks; they have to go the speed limit just like everyone else. FedEx is successful because they automated the process of delivering a package on time that can be tracked at any point in the process. The systemization of the delivery business is their competitive moat. The last dying words of a company are often - "we have always done it that wayyyyy!" Wal-Mart isn't successful because people love to shop there or because they have great customer service, normally you can't even find an employee. Wal-Mart is successful because they systemized the process of inventory management to ensure that millions of products get to the right store when they are needed for customers to purchase. WHAT DO THESE BRANDS HAVE IN COMMOM? 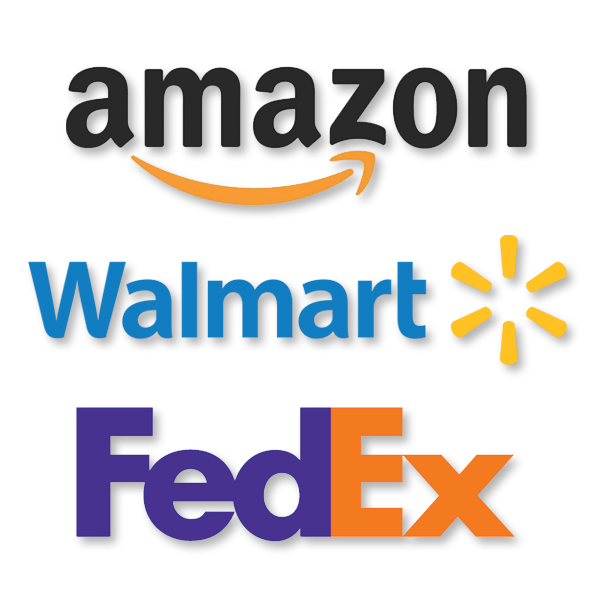 All of these brands have systemized the processes necessary to make the company operate successfully. Systemizion is so ingrained in the oporation of the company that it wouldn't exist otherwise. The systemizion is what make the company successful.